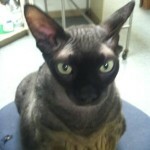 Blackie was born on July 18 2006 right here at Great Falls Veterinary Hospital by C- section. 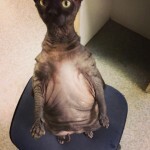 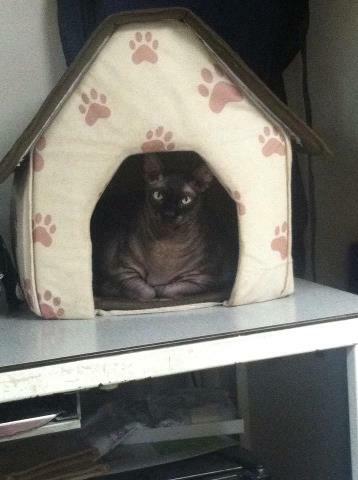 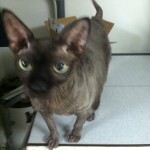 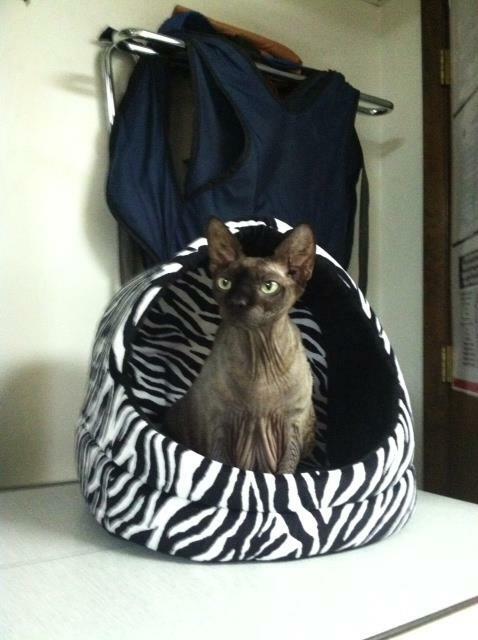 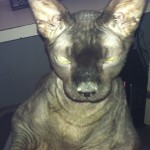 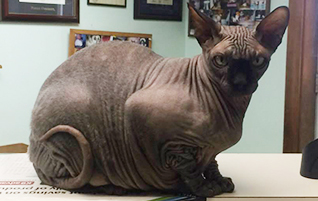 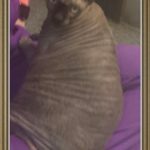 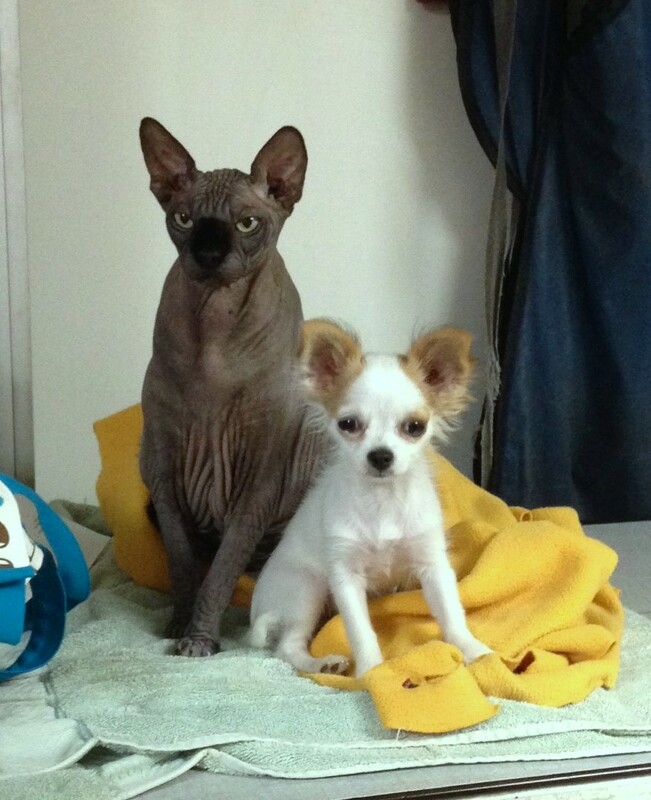 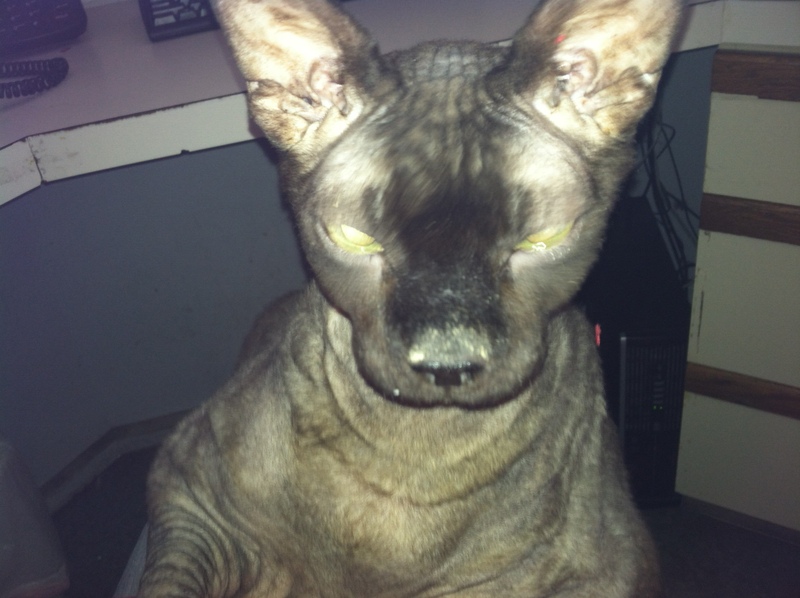 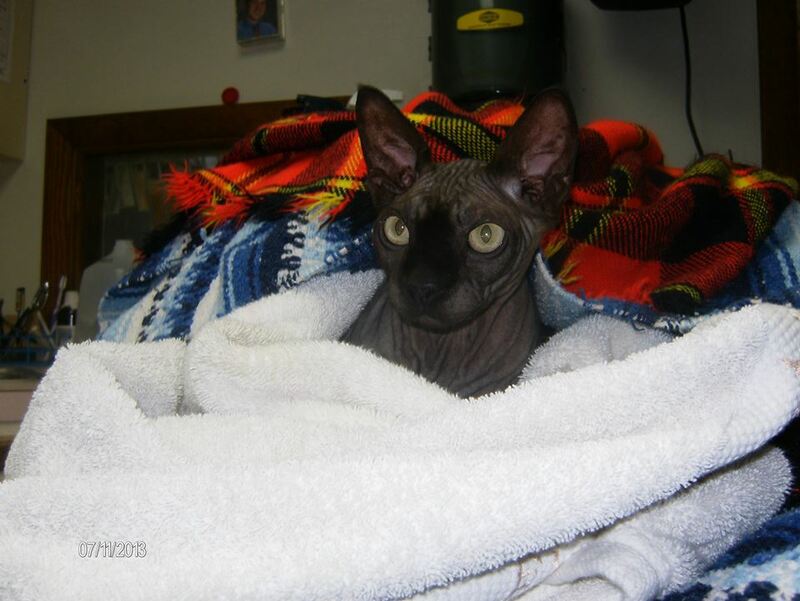 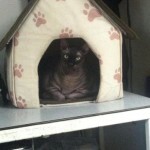 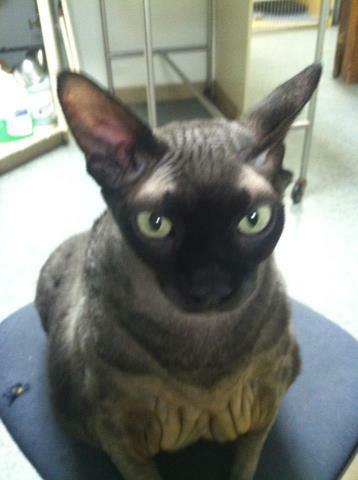 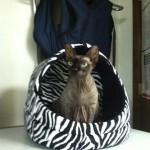 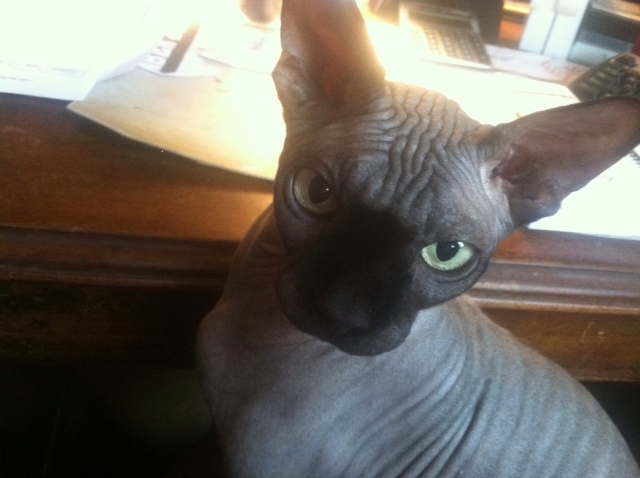 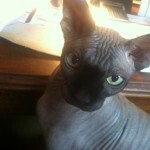 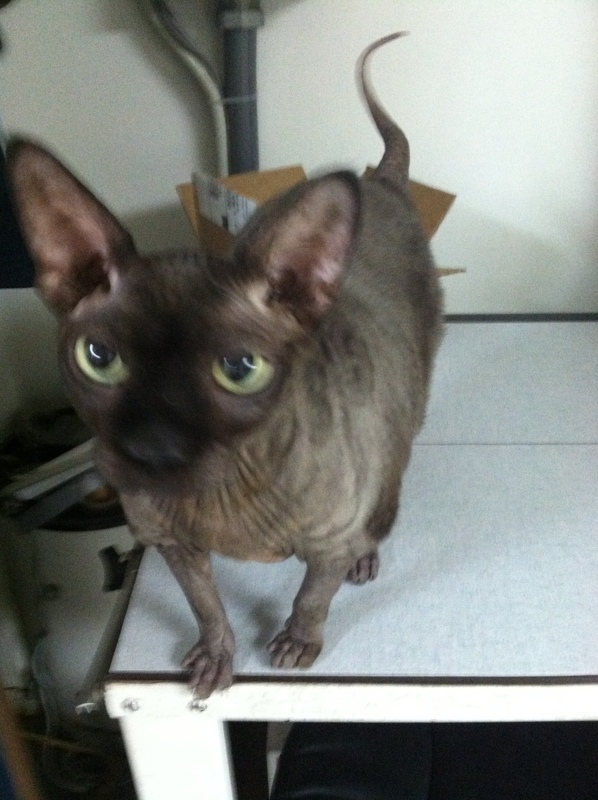 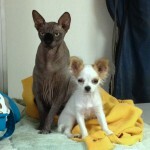 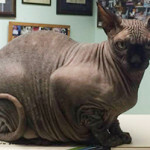 He is a Sphynx cat mixed with some Devon Rex. 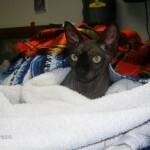 We saw him every year until October of 2012 where we were privileged to have him stay permanently. 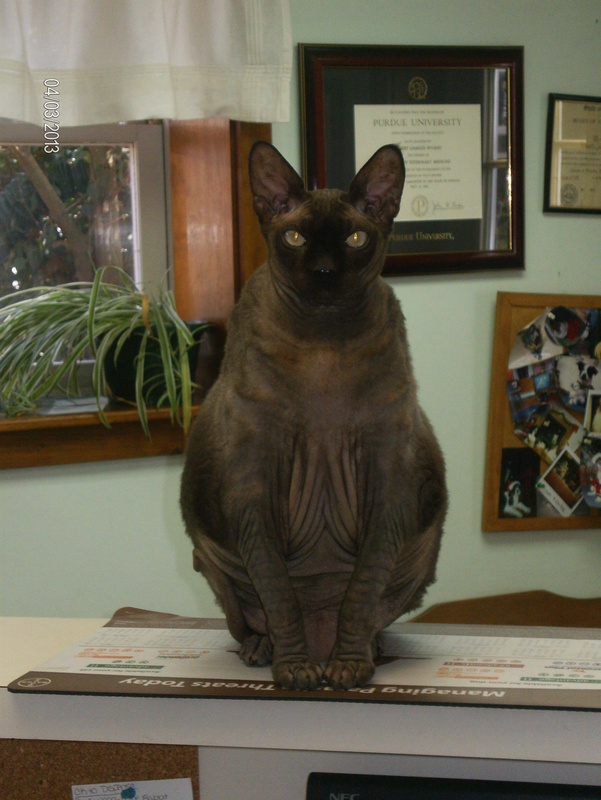 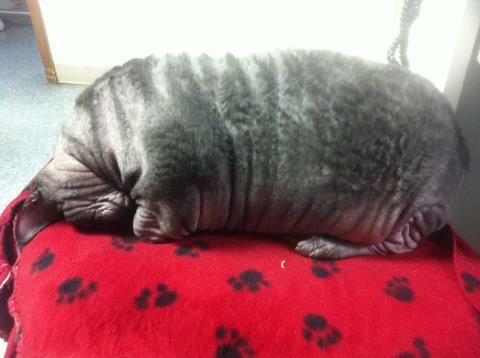 He was a very good eater as his weight was over 30 pounds! 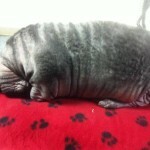 After months of exercise, hard work and yes a diet, he lost a total of 18 pounds!!! That’s when his true personality came out. 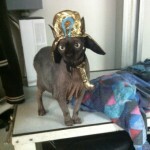 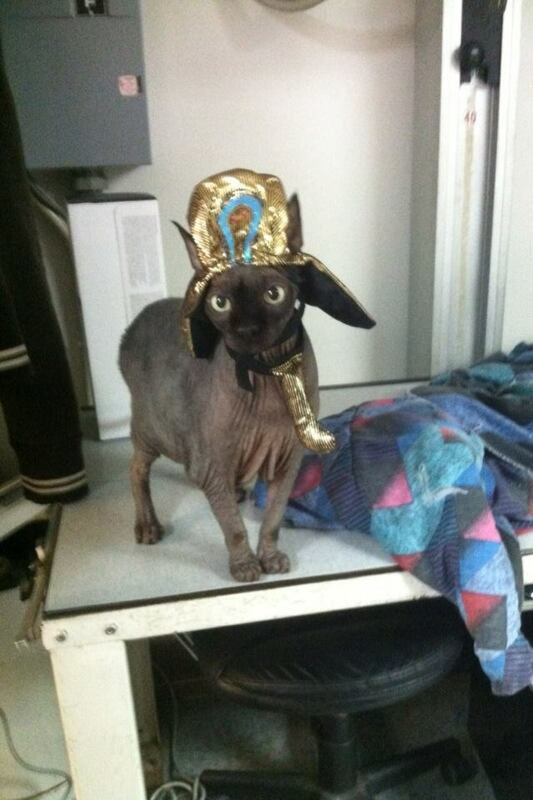 He has been known to pose as an armadillo, E.T, and a pharaoh. 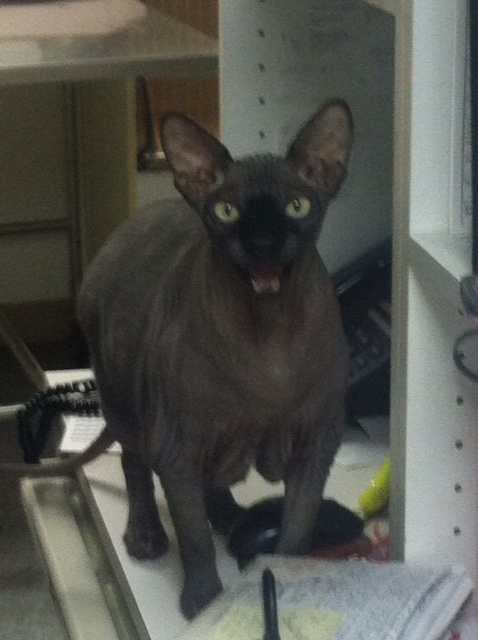 Blackie can usually be found greeting clients at the front desk, basking in the sun or looking for a yummy treat. 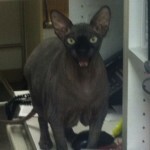 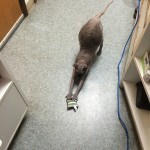 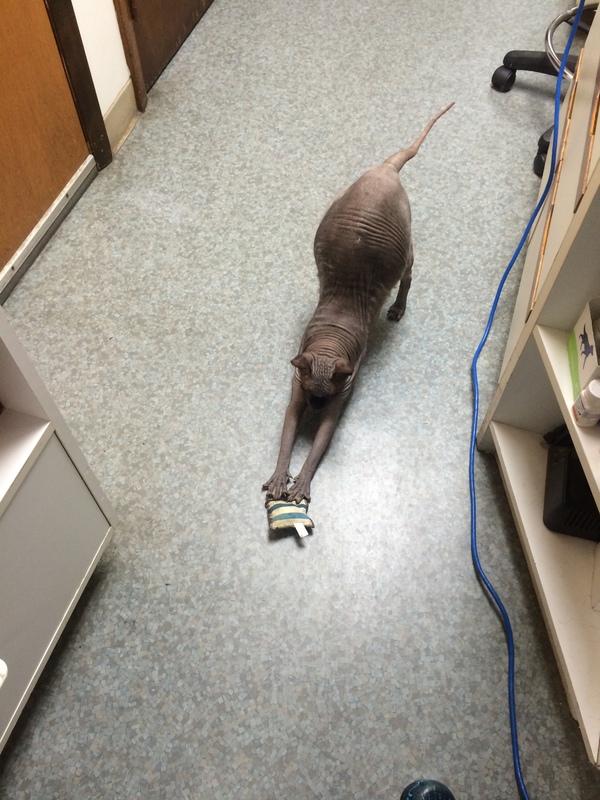 He loves people and will often run from the treatment area to surprise unsuspecting clients at the front desk.